Thank you for your inquiry! 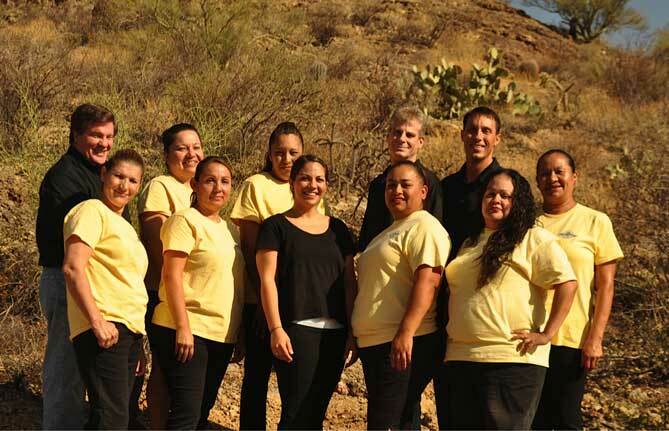 This Clean House was established in 1996 and has become one of Tucson’s most used and reputable cleaning services. We, the owners, started this business as college kids “the old-fashioned way”- door flyers, a car, a vacuum and a mop bucket. For two years, we worked towards developing a system of cleaning that is both detailed and complete. Our efficient and detailed cleaning system allows us to be competitive in pricing; even with the unlicensed, “private” services in Tucson, that walk into homes unscreened and uninsured. We have built a solid client base and many of our faithful clients are still using our service today having started using our services in 1996! We have watched many of our clients children go off to college after serving them for years- and have even met some of their kids! Those opportunities are very rewarding to us! We run our business with integrity by treating our team members and clients with the utmost respect. When we say we will send the same team to your home each visit, we mean it. This Clean House has an amazingly low employee turnover rate- which is the greatest problem in the cleaning industry. Keeping employees encouraged and enthused about their work is critical to maintaining the same team in your home and the same consistent work each visit. We work daily to that end. We will communicate well with you. When you call for any request, you will always be greeted in a polite and professional manner. We are here to serve you. You ARE our business. We will do everything we can to accommodate your every request. We hope that you will give us an opportunity to serve you.